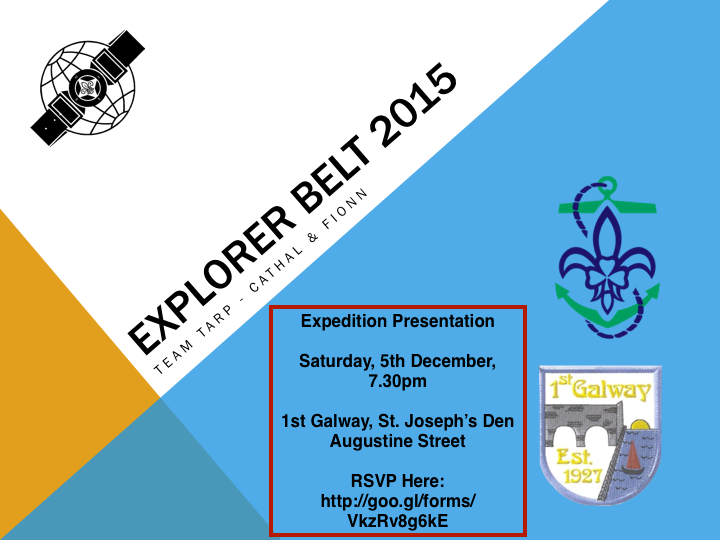 Cathal Breathnach (1st Galway St. Joseph’s) and Fionn Delahunty (Galway Sea Scouts) will be giving a talk on their our trip to Germany on the Explorer Belt during the summer onSaturday 5th December at 7.30pm in the 1st Galway Den on Augustine Street. 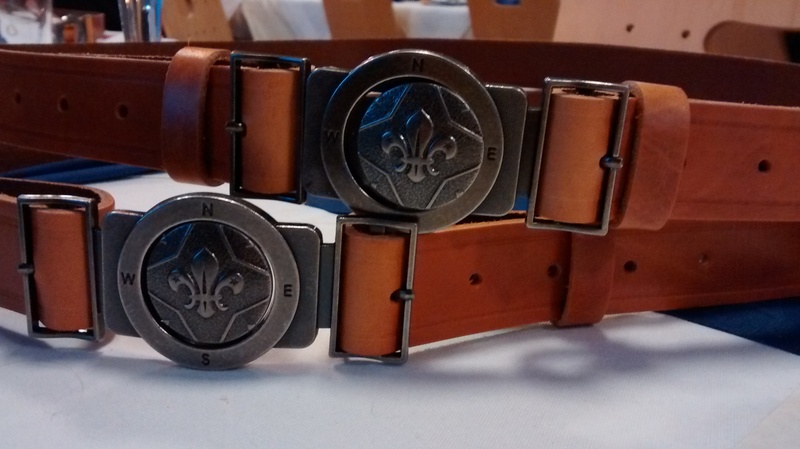 There will be a presentation of photos from the trip and an account of the experience that is going on the Explorer Belt. The trip logbooks and maps will be available for viewing and it’ a perfect opportunity to get any questions answered on the expedition. This is open to anyone who might be interested so please feel free to come along and/or spread the word! The Den is located here for anyone who might be unsure!